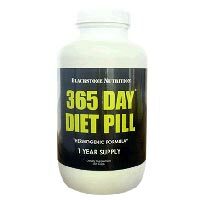 Blackstone Nutrition is the manufacturer of a supplement designed to help with weight loss known as 365 Day Diet Pill. This formula claims to be thermogenetic, so that the metabolism will work more effectively and the body will remain more energized. This product is unique in that it is not taken with every meal for only a certain length of time but is instead taken once every day for a full year. That being said, though it does attempt to have its users commit to a full year, it is still quite an expensive investment – much pricier than most other diet supplements, unless you buy it from the official site where a discount is available. That being said, if you Google “Blackstone Nutrition”, the very first page to come up is a complaint site filled with people registering their disapproval over their inability to reach the company. The second and third have to do with lawsuits from Nutramedics Inc. against Blackstone Nutrition Inc. regarding intellectual property and trademark violations. For this reason, you may wish to be wary of any purchases of Blackstone Nutrition products and trusting any claims made by that company. The official website for the drug – which is exceptionally challenging to find due to the long list of negative sites that swamp Google’s results when you type the company’s name – does not contain a great deal of information about the product. However, other sites list the ingredients for the drug as follows: Chromium Picolinate, Caffeine Anhydrous, Dandelion Root, Glucomannan, Cayenne Pepper, Green Tea, Citrus Bioflavonoid Complex, Guggul, Yerba mate, L-Carnitine, Cha de Bugre and Oolong Tea. As you can see, it is heavily weighted on stimulants and involves diuretics as well, so that anyone who suffers from problems with stimulants such as nausea, headaches, sleeplessness, jitters, and other unpleasant side effects will be wise to avoid this product, and it must be remembered that any loss of weight near the beginning of the use of the product could simply be water weight which will soon be regained once more. 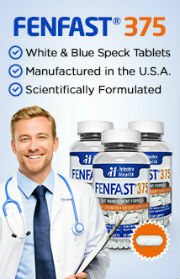 There is no 100% money back guarantee on the website, nor are there any trial-sized samples for testing. Many complaints have been launched by people who try to return unopened and defective products, but that have not even received a reply from the company. Since information is so scarce about the product and the company (except in the form of legal battles) this doesn’t look like a product that should be recommended in any way. It should also be noted that one bottle of 365 Day diet pills will last you a year only if you take one a day. However, most people will need to consume two a day just to feel some slight benefits. Still, one bottle could last 6 months, making it one of the cheaper diet pills out there, but not necessarily effective. 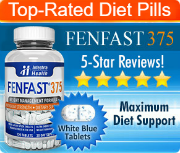 You will likely waste 6 months of your life trying to lose weight with this product.